After a summer of general slothfullness I need to get some fitness and all round healthiness sorted, so I’ve started some new Yoga classes. And I’ve just got back from one, an “early-bird” class. So not only do I feel great for having done a yoga class but I’m even more impressed with my starting the week a) early and b) positively. I guess it can only go downhill from here? So now I’m back home after a bit of a breezy walk back along the seafront and after a bit of breakfast (yoga always makes me hungry) I’ve cracked open a bottle of Gin. Not your average way to spend your time after a Yoga class, but in my case I do have a good excuse. We had a gorgeous Sunday lunch at a friends house, and we even ate outside (yup, outside in October in the UK! ), and then went for a short walk along the Firehills in Hastings, you get the most splendid views up there of the coastline. But our main reason for the walk was to pick the last of this season’s Sloes. Yes we need more Sloe Gin! So another bagful was picked, washed and pricked. And I’m just finishing off decanting them, along with the Gin and sugar to make some extra bottles for gifts this winter. I know I’ve posted on this subject before, but I can’t help but give it another thumbs up. Roll on winter! 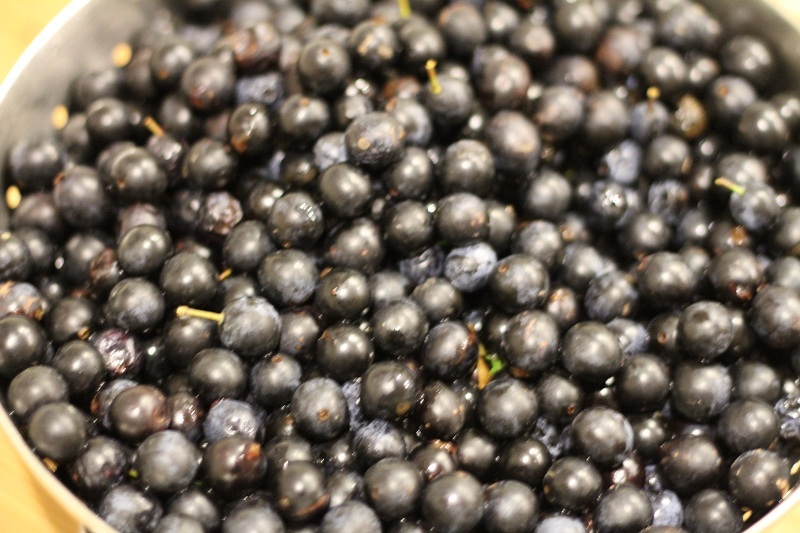 Can you describe what sloes taste like? I have heard of sloe gin but this is the first I have linked appearance and name. Maybe I have seen them before but I don’t recall. 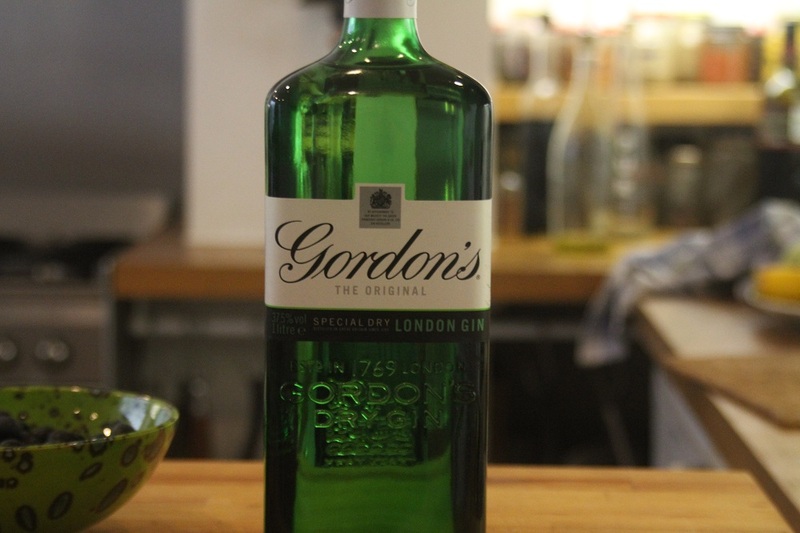 And sloe gin – what’s that like? Oh gosh, I honestly don’t know how to desccribe their taste! And I asked a friend last night, and neither of us could come up with anything sensible in terms of describing them. They come from the Hawthorn bush, and aren’t eaten raw, but are cooked, or processed into jams and jellies, or in this case made into a liquer. As to sloe gin – it’s a rich digestif, better stored for 12 months, to let the berries, sugar and alcohol infuse properly. It can be quite strong. I’m due back in France and am taking a bottle with me, I’ll see if I can get some better descritions from my friends there…..